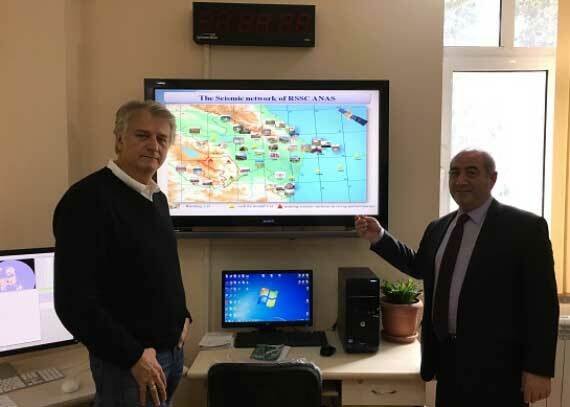 Azerbaijan The Republican Seismic Survey Center of Azerbaijan National Academy of Science monitors the seismicity of Azerbaijan with a real-time system of 35 broadband and strong-motion stations. 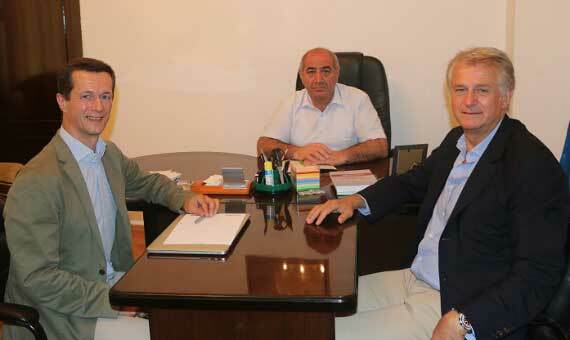 Kinemetrics’ President, Ogie Kuraica and Senior ICT Engineer, Stefan Radman, met with General Director of RSSСANAS, corresponding member of ANAS Gurban Yetirmishli. Image courtesy of RSSC. Kinemetrics’ President, Ogie Kuraica, met with General Director of RSSС ANAS, corresponding member of ANAS Gurban Yetirmishli. Image courtesy of RSSC. Kinemetrics, Tofik Alili, conducts training with local seismologists. The meeting was attended by General Director of RSSС ANAS, corresponding member of ANAS Gurban Yetirmishli and chief engineer R.Muradov. Image courtesy of RSSC. The Republican Seismic Survey Center of Azerbaijan National Academy of Science is the main organization, involved in the research and study of earthquakes on the territory of Azerbaijan Republic. Seismological, geophysical, geochemical and geodynamic complex researches are conducted in the Center. 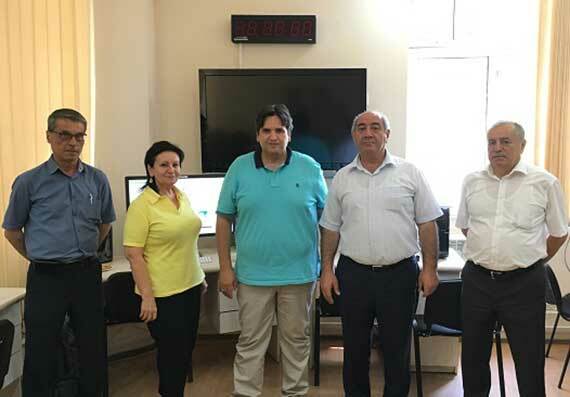 Provided a Real‐Time Seismic Monitoring and Management Center that served as Azerbaijan’s mission-critical earthquake emergency-response system. Integrated instrumentation and software into a multi-sensor seismic network that produced high-quality information for the public. Provided flexibility and scalability of the seismic monitoring platform which allowed the network to evolve from 16 stations to 35 within short period of time. Provided interoperability of the seismic monitoring platform which enabled RSSC to exchange data in real-time with three international seismological organizations (IRIS, ORFEUS, and EMSC). Annual upgrades of the data center keeps the seismic network operating at a high standard returning an average data availability in the +90% range.